R&D tax credits are here to help your Liverpool based company evolve into an even better version of its previous self. With the help of Swanson Reed’s excellent team of highly-qualified tax advisors, you’ll find the benefits of research and development tax credits to be some of the best to offset tax liabilities. As time progresses and R&D tax credits are utilized appropriately, your company or organization will see the positive, tangible effects of such practices. Read on to discover how your Liverpool company will be positively affected by the tax credit process and how you can rest assured knowing Swanson Reed will properly guide you through every step of the way. Liverpool is already experiencing a fantastic growth stage where companies are deciding to either relocate entirely or set up an office in the city to better reach customers. As Liverpool becomes much more immersed with competition from said companies deciding to move in and set up shop, the need for tax credits from research and development activities will continue to rise. This is where we at Swanson Reed can help you have the opportunity to reinvest the money saved from the offset of the tax liabilities and have you well on your way towards potentially seeing long-term, exponential growth. The companies who have decided to invest, relocate, or simply startup in Liverpool are the same companies who will have a massive impact on the local economy. This is where the economic progression of Liverpool will become a major factor. As these companies achieve success in many ways, one of which will help assist in matters is the R&D tax credit; the Liverpool economy will most certainly continue to move upwards as it’s been for the past few decades. We’ll surely be here to help any and all companies and organizations who are seeking our services and locate any and all available research and development tax credits which are applicable to their unique situation. 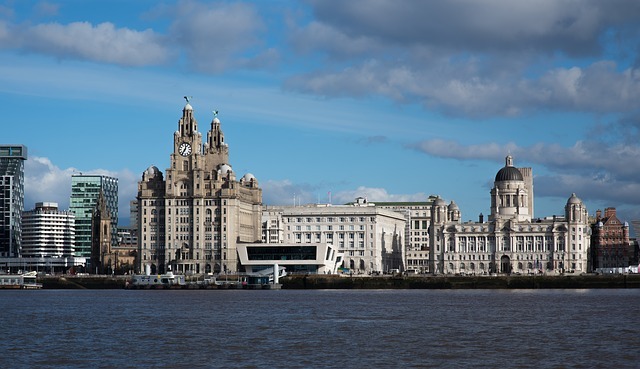 When selecting a tax advisory firm in Liverpool for your company’s R&D tax credit, it’s important to choose a firm which has the experience and expertise to best guide you and your your company towards success. Our team consists of some of the best R&D tax advisors in the world and we’re proud to say we’ve helped many companies and organizations just like yours realize their full potential in the R&D tax credit niche. Feel free to contact us to learn more and we’ll be sure to respond to your inquiry as soon as possible. We look forward to hearing from you soon!